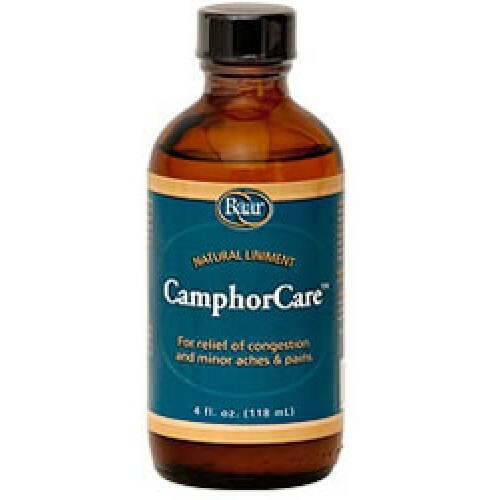 CamphorCare is excellent for the relief of congestion, colds, and minor back pain. CamphorCare provides a penetrating combination of Mutton Tallow, Spirits of Turpentine and Spirits of Camphor. "Q: What is the cause of pain in right ankle, and cure for same? Solidification is normal. Immerse the bottle of CamphorCare in hot water before using. Shake well before using. Use as much as the body will absorb about twice or three times a week. Apply to back, chest, and lower extremities following a hot bath or foot soak. Massage over back and kidney area, using mild heat if desired. Once CamphorCare cools down, it will separate again, and will need to be reheated prior to the next use. Mutton Tallow, Spirits of Turpentine, Spirits of Camphor. Warning: Do not mircrowave to heat. For external use only. Keep out of the reach of children.